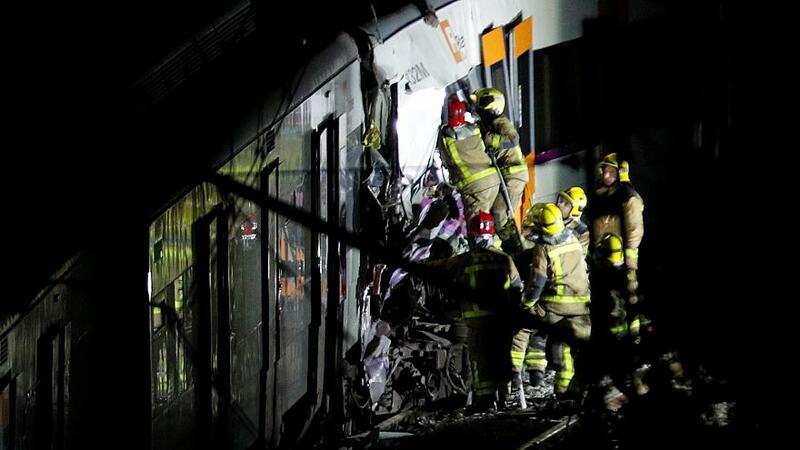 ONE person has died and 92 others were injured in a train accident outside Barcelona today. A train driver was killed in the horror crash when two trains collided head-on between the cities of Sant Vicenc de Castellet and Manresa. Another 16 people were in a less serious condition, while 76 had mild injuries. Around 100 passengers escaped the collision unharmed. The trains from different lines of the Rodalies commuter rail system collided at 6.20pm local time.